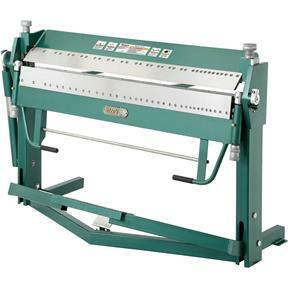 The big brother of our T10718, the T28325 59" Pan & Box Brake has 9" of extra bending capacity and a larger range of finger sizes. 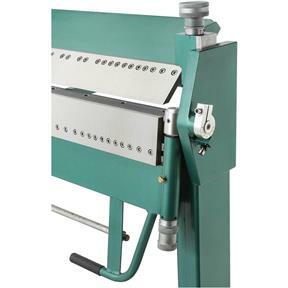 Whether bending a 1" box flange or a full-width pan, this brake has the additional capacity and options you require to get the job done right. 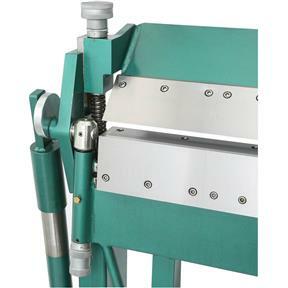 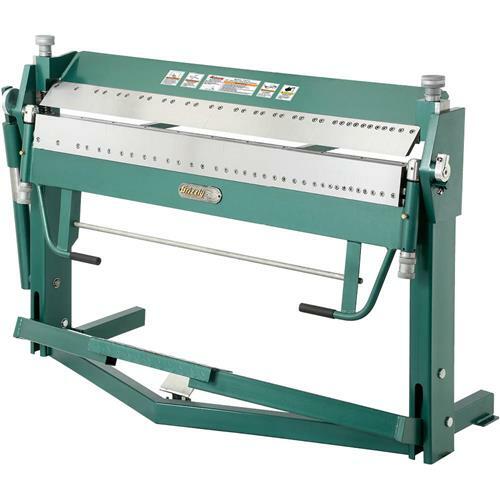 This heavyweight features removable upper and lower fingers for box bends as well as transverse and down-flanged shapes. 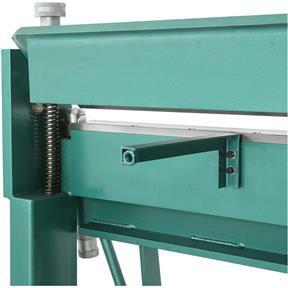 The built-in work stop features a 135° scale for repeatable production, while the precision-ground steel clamping figures securely hold and bend metal into a 5/8" minimum reverse bend. 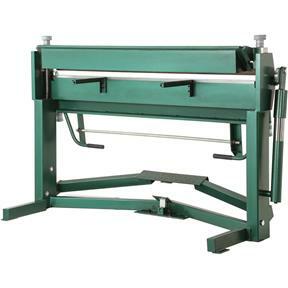 Maximum height of pan/box sides: 2"
Fingers: (1) 9", (6) 4", (5) 3", (4) 2", (2) 1-1/2"
Approximate shipping weight: 1080 lb.